The Eachine Trashcan is a 75 mm ducted whoop that in almost every way is an upgrade to the incredibly popular Mobula 7. It has bigger motors (0803 to 0802) it uses an F4 flight controller instead of an F3, the VTX is switchable from 25 to 200 mW instead of being fixed at 25 mW and the Trashcan has the superior camera in the Caddx EOS2. So the Eachine Trashcan is clearly the better quad, right? Well…not so fast. The Trashcan has an impressive lookup angle for aggressive FPV flying. On paper, the Eachine Trashcan is an awesome Tiny Whoop style quad. It can be flown on either a 1S or a 2S battery. The Trashcan is an excellent quad for flying both indoors and out. It specs out better than the excellent Mobula 7 in almost every way. But is it actually better? I would argue no. It is about 7 grams heavier (33 g to 26 g) but on a drone this small it does actually make a small difference. It isn’t quite as precise or “snappy” when flying tight indoor spaces. 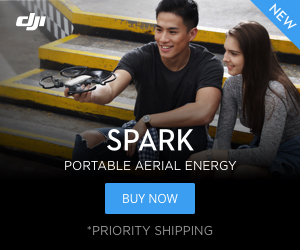 That makes it not quite as great for indoor flying or flying in confined places. However, when flying outdoors and doing freestyle it does give the drone a little more heft so it seems to glide through maneuvers a little better than the Mobula would. These are very small differences but something to keep in mind. The included carrying case is a nice addition with the Eachine Trashcan FPV. The Trashcan is definitely more powerful and I would say I enjoy it a tiny more when flying outdoors. The frame is much stronger and more robust than the Mobula 7’s frame. In fact, my Mobula 7 now resides on a Trashcan frame. The F4 flight controller is an upgrade over an F3 and it does ensure you’ll be able to upgrade to the newest versions of Betaflight if that is important to you. I really like the option to switch the VTX to 200 mW as I typically fly solo. I’m also a fan of the included carrying case. The Caddx EOS2 is a solid camera. The camera on the Trashcan is a Caddx EOS2. It is a really nice camera, however, it is a 16:9 wide angle lens. I personally love it. I switched my Eachine EV200D FPV goggles from 4:3 to 16:9 and the image looks fantastic. Not everyone has FPV goggles that can switch from 16:9 to 4:3 so you will want to keep that in mind. If you don’t switch the aspect ratio the image will look slightly squished. It is certainly flyable but not ideal. Eachine isn’t known for having the best quality control and that showed up in my unit. There was no antenna on my VTX. Luckily for me I had an extra UFL antenna laying around but that is a rather annoying little issue. There isn’t a dedicated beeper like the Mobula 7 and you definitely will want to activate the ESCs to beep on this quad. The biggest issue is the loss of signal issue with the Crazybee flight controller. Some units will randomly lose connection when flying. There are two easy fixes. Either bind in D8 mode or turn telemetry off. Again an annoying little issue, but it is easy to fix. 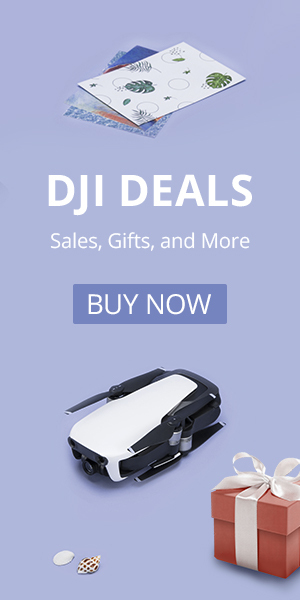 So which drone would I recommend? Really that depends. If you want a 2S quad both the Mobula 7 and Trashcan are excellent options. Honestly, I think you pick up whichever one is on sale. With both quads hovering in the $75-100 price range it is hard to say. For true beginners, I would recommend the Emax Tinyhawk over both the Trashcan or Mobula 7. The Tinyhawk is less powerful but more durable and I think that is more important for a true beginner. Truth be told, I love all three of these little quads. It is hard to go wrong.